Interviewing businesses and organizations who have implemented podcasting into their marketing strategy. A podcast from Circle270Media Podcast Consultants. Courtney West: I have been lucky enough to become involved with United Way of Central Ohio, since I moved to Columbus. I've been in Columbus for about two-and-a-half years now. I've just really started to become familiar, especially working with the Chamber of Commerce, with a lot of the organizations around town. I became a LINC member, which was really exciting, through the United Way. They're just doing so much amazing work here in Columbus. That's kind of locally where I've been centering a lot of my time. Courtney West: I actually just started going through the process of starting to work with the Columbus Humane Society. Huge dog lover; don't have one of my own, but when I lived in Indianapolis, I volunteered at the Indianapolis Humane Society. That was very difficult, because every day, there was a new dog that I thought for certain I needed to take home with me. I was in college at the time, so that really wasn't a possibility. I have a feeling the dorm, the RAs in the dorm, would not have taken too kindly to me starting my own little pet shop through there. Courtney West: I'm looking forward to just continuing that involvement. Then, outside of the Columbus community, I'm involved in the Play for Jake Foundation, which works to raise awareness, and raise funds for undetected heart conditions in our youth. That's a cause that's near and dear to my heart, so, I spend a lot of my time donating some of my specialty in media – social media, website development, that kind of stuff – with that organization. I'm really starting to dive into the local philanthropy, which has been a lot of fun. If anybody has a suggestion on another way to get involved, always, always open, open ears. Brett Johnson: There you go. Why a podcast for the Columbus Chamber? Big question. Let's go right into it. Courtney West: Great question, and we get that question a lot. It's funny, the amount of Chamber of Commerces around the country … In fact, just last year, we had the Hawaii Chamber of Commerce reach out to us. Brett Johnson: You had to go visit them, right? Courtney West: Oh, I tried. They emailed, and they said, "We would love to just learn more about how you've started this up." I thought that's a great conversation; oddly enough, I feel like we need to do this face to face, and I'm more than willing to come visit. Brett Johnson: We cannot Zoom this. There's no way. I don't wanna see the ocean behind you while we're talking. Courtney West: Exactly. I need to be there … Toes in the sand. Unfortunately, that didn't happen, but I haven't completely crossed it out. We'll see. Courtney West: Back to that, all over the country, we've had Chamber of Commerces, and just various organizations, even businesses reach out, and say, "This is really interesting what you're doing, and not something we would have expected for a Chamber of Commerce. How did this happen?" It's a question that I answer quite frequently. Courtney West: I'll give you a little bit of background on how I got started with the Chamber, because that'll provide some insight. I, back in 2016, moved to Columbus for an opportunity with the Chamber, in their marketing department. It was pretty unique, because they were having some … A jump in their previous director was leaving, and a new director was gonna be coming on a few months later. They needed somebody to run the department on their own, during that time. Luckily enough for me, I was a good fit for the job, they thought. I came on to the Chamber, and there was a lot that I was learning pretty quickly, and on my own. Courtney West: One of those things was cbuzz. My predecessors in the marketing department Dilara Casey, and Liz Dickey, both still very active in the local community, they were the ones that really dreamt this idea of cbuzz, and got it off the ground at the Chamber, and really started around with it. Courtney West: They were able to, for over a year … I think it was about a year and a half, almost two years, they were putting out episodes consistently, and working with various members of the business community. They were the ones … Credit goes there, to them coming up with the idea, and really taking it off the ground, and running with it. Courtney West: When I came on to the Chamber, I was very interested in continuing the podcast, because I saw a lot of opportunity for it to be taken to the next level, and even the next-next level … I knew that it was a market that we could be in, in the Columbus community, and really thrive. I knew that a lot of other people, a lot of other Chambers weren't really involved in that space, so, it was an opportunity for us to set ourselves apart. Courtney West: We started a process of doing some research. About three months after I joined the Chamber, we had a new director come and join, and we started a year-long process of really diving in to what that looked like for us, and if it made sense. Courtney West: What we came down to was that we have so many amazing stories in this community, in Columbus, to tell, and to share. We are a booming Midwest metropolis that just … There's so much opportunity here, and it doesn't often get translated, let alone, within our community, our Greater Columbus community, but outside of Ohio … There are so many stories here that are worthy of people hearing, on the East Coast, on the West Coast, all over. Courtney West: We just saw the opportunity, and knew that we could take the time, and if we did it right, and did it well, and did our research, that we could really make something that would be beneficial to the Columbus business community, and the greater … Just the economics of the business world. That's kind of what was our driving factor was that this could help set us apart, so that was our guiding force. Brett Johnson: An interview format is where it's continuing on. Brett Johnson: Was there a focus on the interview aspect of it? "We're gonna interview members. We're gonna interview authorities in the field." What type of mixture are you looking at, from an interview format? Courtney West: That's one of the biggest things that we changed, when we kind of went through the reboot process of cbuzz. In the past, we were featuring individuals, who weren't necessarily members of the Chamber. With the business model that we have at the Chamber, the people who want to be a part of what we're doing, we really wanna make sure that we're lifting them up, and highlighting their stories. Courtney West: As of this month, we have almost 2,000 members, which is really exciting for us. That's a large chunk of our business community that we're able to work with, each and every day. Every single one of those members has such an interesting, unique, exciting, fresh story, but might not have a way to share that story. Courtney West: That was one of the biggest things that changed for us was that, moving forward, once we rebooted the podcast, we wanted to feature only our members, because we were confident that that pool of our membership was so strong that we could call just about anyone, and there was gonna be somebody within their organization who had a story that we wanted to tell, and that they could have to benefit the listener. That was, I would say, our biggest change moving forward. Courtney West: The interview format, it was previously done in an interview format, and we wanted to continue that. We really just like the feel of having a host that carries the conversation along, and somebody who's kinda consistent. We played around with the idea of inviting a new host, maybe every quarter, switching things up. Courtney West: Our host, Mikaela Hunt, I mean, she's … Mikaela's amazing. It takes five minutes of listening to any given episode, since the reboot, and it's just- it's a piece of cake. She makes it easy, which is fantastic. Courtney West: Once we started working with Mikaela, it was very evident that she was the perfect … Had the perfect tone. She's an entrepreneur, herself, and has experience in the journalism world. She really brings every aspect to the table that we were looking for. Brett Johnson: Oh, for sure. Courtney West: Which is always an interesting hurdle to go through with some people. Yeah, so that's kind of how we came to the set-up that we have today. Brett Johnson: Your reboot focus on the intended listener – who is that? Courtney West: It's interesting, a lot of people would assume that it would just be anyone in the business community. While that is true, we really tried to approach our topics, and our guests – in the way that we're formatting our content – with the aspiring entrepreneur in mind. Courtney West: Columbus is known for its entrepreneurial community. We have such a strong focus on that here, so I think that's really what sets apart our business community, as well. For the Chamber, we wanna see the business community thrive, and that means supporting aspiring businesses, and the businesses of tomorrow. Courtney West: We wanted the topics that we're featuring to be able to have somebody that's maybe sitting at their job right now, or sitting in their college classroom, and they have an idea, or a dream, or something that they think would just thrive, and really take our community, and open market … Really take the community to the next level … We want them to be able to listen to these episodes, take something tangible away, and learn from somebody else, and apply the directly in their business model. Courtney West: Maybe that means that they don't start their business for another five years down the road, but our hope is that, when they do establish that business, they will think of cbuzz, and, in return, the Columbus Chamber, and how we were maybe able to just pay a little bit of a piece in their journey to creating that business. Courtney West: That's kind of our niche where we try to focus, but it's really fun. We have people of all different levels in their career that listen. My mom lives in Indiana, and she listens; it cracks me up. She's a teacher, and she's like, "Oh, I just- I learned so many new things on this month's episode …" It's a lot of fun. It's definitely applicable to everyone, but I'd say our niche would be those entrepreneurs. Brett Johnson: -but now, what does it look like? Courtney West: On the Chamber side of things, there's … I'm kind of the main lead on the podcast, which is exciting for me because I love being a part of it. Our marketing department is two people strong at the Chamber. We're strong but mighty. On the Chamber side of things, we're the ones that kind of manage all of the planning, the interview-question writing, all of … All the fun stuff behind the scenes. Courtney West: Then, we actually work in a partnership with Capital University, which is another really unique aspect that changed with the reboot. At any given time, that number fluctuates with how many people we're working with at Capital. We have, currently, a class of students who we work with, and a faculty advisor of some sort. He's their teacher in the course, but he's also my main contact. He is fantastic. Chad, shout out to you; you're awesome to work with. Courtney West: Once you add in the number of students I work with at Capital, it's anywhere between 10 to 12. Then, you take Mikaela into account. It's under 15 people, but the majority of the people who are working on the podcast is those Capital students. Brett Johnson: -of anyone that I have interviewed so far, and know that are putting podcasts together; that they're using university students to get it done. Courtney West: Yeah … That's a great way to put it – they are getting it done. That is kind of a unique story. When we started going through the process of re-evaluating what we were doing, we were going through a lot of change at the Chamber, and really taking a look at what we were doing, who we were doing it for … We wanted to make sure that the podcast was … Hi, Mikaela! Brett Johnson: Come on in! Courtney West: Come on in. Brett Johnson: We said, "You know, Mikaela's gonna come in, in the middle the podcast. We're just gonna leave the mic on, so she can sit down, and begin the questions right then, and there." Courtney West: Right, which is where you thrive, Mikaela. I feel like you can just jump in, and-. Mikaela Hunt: Make it happen. Mikaela Hunt: There you go. Let me take off my hat. Courtney West: We were just talking, Mikaela, about … I was getting ready to tell the story about how Capital became involved. Welcome. Mikaela Hunt: Great. Good to be here. Brett Johnson: Let's go into that. Courtney West: Yeah. Talking a little bit more about the partnership with Capital, when we started to go through the reboot process, we wanted to find a partnership that would be mutually beneficial with somebody, so that they were potentially going to be taking just as much away with it as we were. Courtney West: Myself being a, at that time, recent graduate … I guess I'm still kind of a recent graduate of college, but, at that time, I was about six, seven, eight months out of college. I went to Butler University in Indianapolis. Go Dogs. Courtney West: At that time, I had taken classes, just a year prior, that involved video editing, audio editing. I was on a sports TV show, on the back end of it, at my university, so I knew that universities were doing things, like making podcasts, and that they had studio space that was state-of-the-art. Courtney West: I also knew that students are always eager to be able to get that real-world experience that they can add to their resumé, because a year before, I was that student that was looking for that experience to add to my resumé. Courtney West: Luckily enough, living here in Columbus, we have so many amazing universities that are truly state-of-the-art, and the students are so advanced beyond their years, even when they're in school, that I saw an opportunity for us to take advantage of a partnership. Brett Johnson: Wow, great timing, yeah. Courtney West: -that year. Oh yeah, and it was almost as if the stars aligned. They had a brand-new studio space. I needed a studio to record in, and I knew that they had students who would probably be eager to be involved. That was a fun moment of realization. Courtney West: Then came the part of trying to figure out if they would be interested in being a part of our rebooted podcast. I scheduled a meeting with Chad, who I shouted out earlier for all of his awesomeness. Had a meeting with Chad, just over coffee, and started to feel it out. I told him about our idea, what we wanted to do, and how we wanted to utilize our partnership with the university to maybe execute the podcast, itself. Courtney West: He was so excited from the start, and he said, "You know, I think this is something that Capital is really gonna be interested in. Let me take this back to our Dean. We'll have a conversation, and I'll let you know." I thought, "Okay, now I just have to wait …" Go home, back to the office, and try not to think about it. Courtney West: They ended up coming back, and saying, "We think this would be an excellent opportunity. We have a brand-new state-of-the-art studio space, and we would love to have the Chamber come in, and record their podcast. It's great experience for our students; it's great experience for us. It's great visibility for both organizations." Courtney West: Like you said, the timing really couldn't have been better. We really lucked out there, so, we just decided to start that partnership. We've been working with those students now for over a year. I guess it's about a year and a half now. It's been a fantastic partnership, and was really just great timing, like I said, and us realizing an opportunity to take advantage of, where we could both kinda scratch each other's back a little bit, which, you know, it's always nice. Mikaela Hunt: I think we're at a moment, too, where universities sometimes struggle with doing some of the latest, and greatest things, from a teaching perspective. I went to a fantastic journalism school, one of the best – University of Missouri – but, at the same time, we weren't prepared, I don't think, for where media was headed. Even though it was the best of the best, we weren't prepared. The fact that Capital has a program like this, and that we can bring real-world application to them, and they can help us? It's a win-win. Courtney West: Whenever I do these meetings with the classes, I always stress to them, this really is … It's potentially a little bit of- not a job interview, but you're making … You have the opportunity to make a great impression on somebody, who knows just about anybody in this community. They do a fantastic job. They're always so professional, and they blow me away with how much they know, but, in that aspect, too, they're getting to meet some really great people. Brett Johnson: Good. Mikaela, you jumped in the middle, which is great. That's why I left the mic open, so you could walk right in, but I do want to establish a little bit of your background, so our audience gets to hear who you are, where you've come from, and actually how you transitioned into being the host of cbuzz. Mikaela Hunt: Yeah, it's great to be here with you guys, because I believe so strongly in this project, and what the Columbus Chamber of Commerce is doing with it. I spent about 17 years in TV news, starting at the University of Missouri in journalism school, working for a commercial affiliate, when I was probably about 19 years old; working a 12-hour shift as a reporter, anchoring some cut-ins, running camera as needed on my shoots, as well. We called that one-man-banding, back in the day. Brett Johnson: I guess! Wow! Mikaela Hunt: Now, they call it digital journalists, or DJs. You hear about that a lot more, even in places like Columbus. In those 17 years, just to kind of lay where we were, when I got out, and started working, my first real job in TV was as a producer in Market 82. Mikaela Hunt: We didn't have … We were barely utilizing our websites. I think I created SiteWatch for my TV station. I was the 10 o'clock producer. "If you need to know information, go to WANDTV.com, click on SiteWatch, and that'll take you to their website." We didn't have that. Brett Johnson: No one did, really, if you think about it. It's hard to teach, when you don't know the next yea … Wait a minute, where'd this Facebook thing come from, all of a sudden? Mikaela Hunt: Right. When I was graduating college, to put you there, we didn't have cell phones. Some seniors did, my senior year, but it really was the year after, when I traveled as a fraternal consultant; took one year off to do that. I had a cell phone. Mikaela Hunt: I worked for 17 years, everywhere from Market 130 to Market 32, here in Columbus, ending up anchoring a morning newscast for the last, I wanna say, six, or seven years that I was in TV. That was really interesting to see that, as people went to 4:30 a.m. programs. That was when that transition kind of was being made. Mikaela Hunt: There were changes in TV, and there are still changes in TV. The level of experience sometimes that you get, even in a market like Columbus, isn't what it used to be. I'm not saying they don't value it. I'm just saying their business model has changed. Mikaela Hunt: Got out in 2015, and knew I wanted to tell stories. I knew community was hugely important to me, still. How are you gonna do that? Well, there was this concept called brand journalism that I just embraced. Through video, and social media, started to do some work in that sphere. Mikaela Hunt: Then had opportunity come along to produce a podcast, with Sunny 95, here in Columbus. For about a year, we did it, specifically for moms, and families. Then, around the time that was kind of sunsetting, Courtney came to me to say, "Hey, I know you don't know me, but I've kinda been following you, and I think you would be great to host this show, given your background of interviewing people, and really engaging in story." Mikaela Hunt: That's been my belief about being a journalist all along. It's you are diving into an area of expertise, or thought that that person is there for you with. You are getting into their head; you're asking questions from that viewpoint, and that perspective. Mikaela Hunt: Courtney came along, and I said, "Yeah, I think it's great." I'd been involved with the startup community some, here in town, at this time, as well, and I find those stories fascinating. I said, "Yeah, if this is an opportunity to tell stories about what's going on in different industries, let's do it.". Mikaela Hunt: Then, in that time, this radio show … I also do a radio show for WTVN, right now, every Sunday. That's been great, too. It has nothing to do with business. Total opposite end of the spectrum, more about families. It helps me stay in media, and podcasting, now, is a more traditional media. It's becoming more, and more. Courtney West: Yeah. We just were talking about that earlier. Brett Johnson: Yeah, it is. Exactly. It's changed very quickly, too, considering how old podcasting is; now, in the last, maybe, five-six years, it's becoming mainstream. I don't think there's a marker in time, necessarily, but it is. You now hear people say, "I need to do this. How do I do it?" Mikaela Hunt: Because people wanna consume niche content. Mikaela Hunt: That is what podcasting allows. A good friend of mine here in town produces a podcast about minimalism, and moms. It's very specific, but there is an audience out there looking to absorb that information. Courtney West: Well, and the way our society operates, we're always kind of looking to be doing something, or accomplishing something, whether that's necessarily always a good thing, or a bad thing. When you're driving in your car, you can listen to a podcast, and learn something completely new, and have a good time while you're doing it. I think it's really changing the way we utilize our time, as well. Brett Johnson: Correct. I initially contacted Mikaela at about this, to interview cbuzz. She said, "Oh, I'm just the host. You gotta get a hold of Courtney." Mikaela Hunt: She's the brains behind the project. Brett Johnson: This next question, looking at the interview scheduling, and the strategy, and the process … Typically, those that host their own podcast do the scheduling, bringing … If they're doing an interview process. How did you two work together, in regards to scheduling who's going to be there to have Mikaela interview, and make it all work with the school, as well? Courtney West: Of course. Internally, at the Chamber, we always have a running list of potential candidates, whether it's people that we know are doing really exciting things, or have a great story, or people who reach out to us, and say, "Hey, I have this great story, and I think I would be really interesting to listen to on cbuzz." Mikaela Hunt: People reach out to me, too, and then, I have to forward them to Courtney. Brett Johnson: That would be a piece of it, right there, right. Courtney West: Yeah. I feel so bad, sometimes, because they'll just reach out to her, and [cross talk]. Mikaela Hunt: I'll say, "No, Courtney's taking care of it …"
Mikaela Hunt: "She's the scheduler; she's the one who's talking content.". Courtney West: Yep. We have a long-running list at any given time. A lot of it is what's relevant at that current time. Then, too, like I was saying earlier, there are some people who have really great stories, but they have no interest in being featured on a podcast. They don't really like to talk, or feel comfortable talking in a microphone, which makes sense. Courtney West: Then, sometimes, the process is a little bit more of, "Okay, well, who in your organization also can share that same story? Who maybe is comfortable on the microphone?" There's some research, some background that goes into it, in making sure that it's a good fit for both of us, on both ends. We want them to be comfortable. Courtney West: Mikaela has to be on for about four hours straight. She is one person who I can say I have seen be able to hold a conversation for four hours straight, and not skip a beat. That just plays into how well of a fit it is for Mikaela, and with our organization; she's a natural on the mic, so it works out very well. Courtney West: Back into that scheduling process, once we have our people finalized, our date finalized, I'll brainstorm some questions here and there, and then, Mikaela, with her journalism background, if I even provide a few bullet points, she can take it and run with it … I think we work really well together, in that sense of just kind of collaborating on the background questions, or what things we might wanna touch on. Brett Johnson: Yeah, there you go. Mikaela Hunt: They do this [cross talk] this prep, and they prioritize what's needed from that timely, and relevant place. Courtney provide some questions, some bullet points, and then, I get to dig into the meat of it. Depending on how I'm feeling … Obviously, everybody kind of gives off a vibe, when they're going through an interview. I play upon that. Some people are more comfortable, to your point, than others. I feel like it is my job to make them as comfortable as they possibly can be. Mikaela Hunt: I've always been that way about the work that I do in journalism. I want people to feel able to tell their story, and not to be overwhelmed by the fact that there's a mic, or a light in their face. That's what I do. That's how I close it. Courtney West: I think, too, Mikaela, I don't know if this is something you consciously do … I'm sure it is, but I've noticed that we'll have somebody come in, and Mikaela will just jump-start a conversation with them, ask, "Hey, what's going on? How's life been? How's business?" Courtney West: Just because I draft questions, and I think those things are the most interesting, there's so many things that we don't find out about these people until they're sitting in the studio. It's always a fun process to have somebody come in, and Mikaela will engage them in conversation, before we even start recording; we'll just be setting up the mics. Courtney West: Then sometimes, the interview kind of takes a completely different angle, just based on the information that they provide. Like John Rush; he had just come from a meeting with-. Courtney West: Parole officer, right? Mikaela Hunt: And his day … I mean his attitude … It was a tough conversation that he had just had with his parole officer. John's a pretty upbeat guy, given what he does, and how he helps people; but we did … that did change a bit of that interview. Courtney West: … That's another big part of it is just we are professional, but we also allow some flexibility to let Mikaela run with it. Mikaela Hunt: To that point, I will say it's not overly scripted. I think when you have something like this … This is a part of what the Chamber has, in terms of offerings, but at the same time, you have to make it be authentic. You can't just go down a list of questions. If you really want an organic conversation, you need to be free to have the conversation. Brett Johnson: Right. You did have a transition of hosts, as we referenced just a little bit ago, and there was a bit of a downtime that you weren't publishing. Brett Johnson: What was the strategy of bringing it back, and going, "Okay, we're back"? Brett Johnson: Of course, unveiling Mikaela Hunt as the host is a huge, "We're back!" Brett Johnson: What were the discussions like in regards to, "Okay, we've taken …" I guess it was maybe nine months, a year off, something like that? Courtney West: Yeah. It was about eight or nine months that we had taken off, and we weren't even recording. I think the last episode … When I came on to the Chamber, there was a few of the previous- the cbuzz that was previously being published in the bucket, so to speak. Courtney West: We were putting those out through December of 2016. Then, January of 2017 is when we really dug in to re-looking at everything, or just taking a second glance at what we were doing, like I've talked about a little bit, today. Courtney West: I think we recorded our first ever of the new rebooted cbuzz, our first episodes, in October, or November of 2017, so there was about maybe 9-10 months where we weren't recording. We weren't doing anything, but doing some scheduling, and just taking a look at things. We debuted the new rebooted cbuzz in January of 2018, so there was a full year where people weren't having any new content. Courtney West: Now, the interesting thing, and I think something that gave us a glimmer of hope that we were making the right decision to continue this podcast, was that we still were watching the numbers go up. People were still tuning in, after we hadn't put out new content for about five or six months. Courtney West: They were still downloading old episodes, and still finding the podcast. That just told us there is a niche here; there is opportunity here; it's a space we do need to be in. People want to hear from these business, and community members. This makes sense. That was reassuring, as we were going through that planning process. Courtney West: When it came time to finally put out that first episode, there was a lot of uncertainty in regards to will people understand that this is kind of something new; that we're building off of something old? Like I mentioned, there was a great foundation for us to work off of, thanks to our predecessors in the department. Courtney West: For us, it was a lot of focusing on marketing it as something new. "Tune into the reboot of the Columbus Chamber's business-focused podcast, in partnership with Capital University," because that … The Capital aspect has a really unique play, and a really unique opportunity to market, and advertise what we're doing. It automatically makes people a little bit more interested, sometimes, when they hear that we're working with students to produce the podcast. Courtney West: For us, it was a lot of just organic … Also, word of mouth. Mikaela has a huge following, so we got lucky there that she was willing to also promote the podcast on her social media sites, and through people she was meeting with. Courtney West: We saw people dive right back in, and we kind of knew right away that we had gone in the right direction, and had not struck gold, but we had essentially hit a niche that we were meant to be in. It's a little bit about what it looked like, just kind of going back in. We've just built it from there, over the past year. Brett Johnson: This is a guess, but if you hadn't found a Mikaela to reboot, do you think cbuzz would be publishing? Courtney West: That's a great question. I think it would be publishing. I'm not sure if it would be nearly as successful, just because Mikaela's voice … I talked a little bit earlier about there's just the tone that she brings to the podcast. It's very conversational, as Mikaela mentioned, so it makes people feel like they're really getting to know these people. Courtney West: We had Dr. Frederic Bertley on the podcast. He was our second episode in the reboot. He's president and CEO of COSI. Fascinating man, so, so fascinating. One of the most intelligent people I've ever met. That's not somebody that you normally probably get to sit down and talk to. It's fascinating what he's accomplished. and I won't give too much away, because everyone should go listen to that episode. Brett Johnson: There you go. A little teaser, exactly. Mikaela Hunt: While still having fun. Mikaela Hunt: Because he's a blast. Mikaela Hunt: -and has a good backstory. Courtney West: He has doctorates in immunology, or something like … He's just- he's so smart, and so-. Mikaela Hunt: But he also wears these orange Converse all around, like the orange Chucks that have become a thing. Courtney West: So cool. Just the coolest guy. I don't think we would have been able to find another host that could so easily translate the personality of the guests that we were having, and have that come across the mic so well, because that's hard to do. It's hard to have somebody on the mic, and if you don't have somebody that can naturally lead the conversation, sometimes it comes off a little bit awkward. Mikaela Hunt: Well, I so appreciate you saying that, obviously, Courtney. That means a lot to me. I think something also that was important for me, in this role, that maybe your traditional media person – and I was that traditional media person for a long time – wouldn't bring is that I'd been a small-business owner for two years. Mikaela Hunt: Working in that space of kind of a newer concept, in terms of brand journalism, and creation for companies – from that content creation, from that perspective, and from the subcontracting end of things … I am a solopreneur, micropreneur, but, to have myself in that head space really helps me out, when I'm interviewing business owners. You get that. Brett Johnson: Makes sense. The host being an entity that's outside of the business is intriguing, because I think a lot of businesses who want to get into podcasting may not have the personnel inside to really be the host. I think this offers an opportunity to really think outside of the box, going, "Okay, you don't have to have somebody from inside your organization, or your business to host the podcast," but you do need to find the right person outside to take care of that for you. Brett Johnson: I really think it's a really good example of don't let that become a hurdle, and you've accomplished that, in spades. Courtney West: Well, thank you. Brett Johnson: It's finding the right person … I think you've given a really good example of how to do it, whether it is going to a traditional media person, or somebody that may be in the community that has some social media collateral that would do it. Brett Johnson: There are a lot of other pieces to that, though, too, that they do have to be a good interviewer, because most interview podcasts are for networking purposes by the business owner, or the business, itself. They want to network; they want to bring in potential clients, or their clients that they're already working with, like you're doing, and offering them branding opportunities, and collateral. They can take that podcast, and put it on their website, and such. Brett Johnson: You're an outsider. Mikaela Hunt: I am, yeah-. Brett Johnson: -but you're having a great time, too. I guess I'm leading to a question of how do you find a person like that? I mean, you got lucky. Brett Johnson: You really did. You asked, and she was available, and that's why I wanted to go back to would it have happened without her? Mikaela Hunt: You are. You sold me pretty well. Brett Johnson: Sure. Sure. Well, and I think that adds to … By going into the next area I wanna talk about is the marketing that you do behind it, and there's a strategy behind it. What social media do you use? How do you go about promoting future episodes, as well as past episodes, and continue that into the … Every episode you produce is evergreen. It has long tail, until that person may be gone from that organization … How do you approach that? Courtney West: I'll be frank. We haven't fully capitalized on the marketing capabilities with the podcasts at the Chamber. We've had a year at the Chamber that's been full of a lot of growth, which comes- a lot of work. At the Chamber, like I said, we're a two-person team. There was a little bit of this year, where I was a one-person team, so there was a lot of different areas that needed attention. Courtney West: … We have a new director, at the Chamber, of marketing, who really believes in the podcast, and he really believes in the work that we're doing, which is fantastic. I think that we're finally going to see 2019, where we capitalize on some new opportunities with marketing, because, in the past, it's mainly been all organic. Courtney West: Funnily enough, we do not have a budget for cbuzz, as it stands. We're looking to change that this year, and trying to monetize it enough to where we can put some money on the back end, in regards to paid social; reaching new audiences that we, through our own channels, ourselves, we might not have the ability to reach. Courtney West: I think there's gonna be a lot of growth for us in that area this year. There's always, when it comes to podcasting, opportunities to take it to the next level, and I think that's our biggest marker, because we have a great host; we're bringing on really exciting guests; we have an audience. How can we continue to grow that audience? Courtney West: The past year has been a lot of organic social media, working with the guests that we're featuring to bring them on board, working with Capital to have them also push the podcast, themselves, within the department, outside of the department, to prospective students. There's a lot of opportunities for cross promotion with both the guests, and the partners who we work with. Courtney West: We're lucky, in that sense. That is another perk to having somebody, or working with people on the podcast, who are outside of your internal organization, because you just have that many more people on your team, and that many more networks to dig into. That's been our main focus is really trying to utilize that. Courtney West: We have done some interesting- a few interesting things with marketing this past year. One good example is we had our Retail Summit this past August, and we had a really exciting panel that we were featuring. It was the Women in Retail panel. We had Cindy Monroe of Thirty-One Gifts, Denise Doczy-DeLong, from Singleton Construction, and Lauren Culley, from Fox in the Snow – three major, very diverse, powerhouse retail speakers. Courtney West: We decided this is gonna be such an interesting conversation; we know it's gonna be full of just some really gems of little tidbits, so we decided that we were gonna make that panel a live podcast recording. We were lucky enough, to where we'd actually brought Mikaela in as our emcee for that entire event, so, we already had our emcee there. Mikaela moderated that live podcast that we did. That was a whole other opportunity to, kinda within that room, and within the event, market it as, "Ooh, yeah, our cbuzz podcast …"
Courtney West: We've been trying to get a little bit creative with – even internally, within our different events that we're doing in our different programs that we're offering, or members that we're meeting with – we're trying to really let people know that this is a resource that we have, and it's free. That's another thing that's great about podcasts, and what they look like. It's free information. Courtney West: That's kind of what the past year in marketing for us has looked like. The coming year for us, I think we'll see a lot more going behind paid advertising for social; maybe some ads that we're doing in various local newspapers, magazines; maybe some on-air stuff. More to come on that. Mikaela Hunt: Ultimately, when it comes down to it, if you really think about cbuzz, you're getting the opportunity to talk with these playmakers here in Columbus that you … You hear them speak, I should say, and hear a conversation with them that you're not getting anywhere else. Mikaela Hunt: No one else is having the president of OSU; no one else is having Dr. Drake on for a 45-minute, to hour-long conversation. A TV station's not gonna do that. A radio program is not gonna do that, here in central Ohio. Same with Dr. Bertley; same with all of these other big names in Columbus. The place you're going to get it, because they have the ability to bring them in, is honestly the Chamber. Brett Johnson: Right, and your recording without looking at a clock. Mikaela Hunt: -Courtney will tell you, though, for some reason, I am like on it, when it comes to timing for these things. Courtney West: It's almost a little weird. Sometimes, it's creepy-. Mikaela Hunt: How much editing do you do? Brett Johnson: I think when you're dealing with somebody that interviews all the time, you have an internal clock. Mikaela Hunt: I probably do-. Brett Johnson: You know where it is, and you … It also speaks to where you go in your mind, I'm sure. "We're done. We've covered what we need to do. We're good.". Mikaela Hunt: True. "We're good. We don't have anything else we really need to talk about." Brett Johnson: I'm going to make it too long for the listener. That's not fair to their time. They've given us 30 to 40 minutes. I got everything covered. That's another sign that you're right where you need to be. Courtney West: Luckily enough, another thing that really pays to having a host that has background in interviewing, and even in journalism, is that there're some people who will answer questions a lot quicker than others, so, sometimes that throws you off a little bit. You get through your content a little bit quicker. Luckily enough, Mikaela knows how to ask a follow-up question. Courtney West: There's been times we've had a guest that will kind of run through the list that we provide, and I'm sitting in studio following along, thinking, "Oh, no, we're about to hit 15 minutes for this one." Then Mikaela jumps in, and she's able to build off of what they've already answered. Courtney West: That's another thing. If you're looking to start a podcast, really, being able to invest in a host is key, because it's just gonna make it so much easier in the long run. It saves so much time for us. Mikaela Hunt: If you can't get a traditional media person, what you must have in a host is someone who is naturally curious. Brett Johnson: Bingo. I was just gonna say, as a great interview question, going, "Okay, so, if a host … If who you're interviewing answers the questions very quickly, what do you do next?" That's the interview question, and if they can't answer that, go to the next candidate. Brett Johnson: I think a key to that is, and you've learned this, too, is you just have to listen, because, all the sudden, there are a little rabbit holes. "Whoa, that's good! Let's go down there. That's great!" That adds to the content, as well as that makes a great interview, because it's something unique that no one's ever asked me that before. Mikaela Hunt: Then they get really excited to talk about it [cross talk] You've got 10 more minutes of content. Brett Johnson: Yeah, it's a lot of fun. What do the students at Capital do for you specifically? Courtney West: When we will come in for a recording session, they already have the studio set up for us, which is fantastic. Then, as we're going through to record, they'll be checking audio levels, making sure that the mics sound clear, and crisp. Courtney West: It's a great opportunity to get hands-on experience with that, because we are able … We're not a live podcast, so, if something goes wrong, we're able to stop, and go back. I will say that, in the past year, over a year, that we've had the recordings at Capital, we've … I don't think we've ever had a time, where we've had audio problems, or difficulties there. Courtney West: For the students, a lot of it is the technical side of things. It's making sure the mics, the levels are correct, people sound okay; making sure that the room is set up so that the sound isn't … I'm sure there's a term for this, Mikaela, but the sound isn't bouncing off the walls. Mikaela Hunt: -yeah, we've had that. Courtney West: We'll just go ahead, and they'll mark that for us ahead of time. Then, they're able to … After we get done recording, they will send me the raw audio files, and then I will sit down, and listen through the conversation. Courtney West: More often than not, the editing that we're doing is very minimal. It might just be cutting out some coughing, or some 'ums,' or maybe somebody wanted to rephrase a question, something of that nature. Occasionally, we'll wanna cut down a question or two, just to keep it more concise. Courtney West: I will provide edits back to the students. Timestamps is what we call them, and the students will go ahead, and make those edits, and send me back the final version. They'll edit in an intro, an outro. We're starting to explore a little bit with sponsorships this year, so they'll be editing those in, as well. For them, it's a lot of the technical side of things, if that makes sense – behind the glass, so to speak. Brett Johnson: Right. Then, you are using Blubrry as a hosting platform. Do they go ahead, and upload to Blubrry, or you take care of that? Courtney West: I go ahead, and take care of that now, at this time. We just switched to kind of being a classroom model. It was previously students who were in the Audio Engineering Club at Capital. They were dedicating their time to come in, and gain experience. We've just started exploring with the model of having this be an actual class for the Capital students. Courtney West: I think that as time progresses, and as we figure out what the curriculum for that course looks like, it might be an opportunity for them to be involved in the publishing side of things; but as it stands now, once I get that finished file, I'll go through the process of publishing it to Blubrry, and then posting it on our website. We have a cbuzz page, where we also have the podcast available for consumption. Brett Johnson: Do you know what the decision process was of picking Blubrry? Courtney West: That's a great question. I do not. Brett Johnson: I'm not advocating one platform; rather, I think there are a lot of good ones out there. It's interesting to note how people choose what they do, because each one has its own nuance. Courtney West: Well, and we're starting … Now that we're gonna have some money behind the podcast, we're starting to explore maybe some other platforms that might be able to give us a little bit more insight into just the metrics of the podcast. Courtney West: Oh, are they really? Brett Johnson: Really, as a platform, they may be the best to get you that information. Courtney West: Really? That's awesome. Courtney West: Good to know. Mikaela Hunt: -to translate the metrics-. Courtney West: That's huge, because that's part of it, too, is I didn't have any experience in podcasting, necessarily, other than being an avid listener before I came into to creating cbuzz. For me, it's still an ongoing learning process about what is the best way to host the podcast? What do these metrics mean? Is there better ways we can be looking at this? That's awesome. Brett Johnson: Yeah, transparency, basically, because a lot of platforms will say, "Okay, every five minutes, we're gonna grab," and your numbers are inflated. Blubrry's gone through a huge process of getting this done, and now, other platforms are being IAB-certified [cross talk]. Courtney West: That's amazing, so it sounds like I don't need to do my research, then-. Brett Johnson: -they went through pains. They went through the pains, but no, you don't have to. Call them; talk to them. They will walk you through-. Brett Johnson: -to understand what it means, not necessarily to get better, but they have some … They've been in it a long, long, long, long, long time-. Brett Johnson: -networks … Yeah, they are. Let's talk about future plans for the podcast. You mentioned a little bit earlier looking to [inaudible] some money to help promote; maybe some sponsorships. What other ideas are coming up for you? Courtney West: That's a great question, because we're kind of just starting to dive into the next stage of cbuzz. What does it look like? I think, for us, now that we've had a year of some really reputable guests, it's easier for us to start to maybe book some people who are in high demand, so to speak. Courtney West: There's definitely a dream guest list that we would love to be able to dive in to, but I wanted to be smart, when we were first asking guests; very cognizant that there's gonna be people who maybe don't wanna be involved right away, because they don't know exactly what that's gonna look like. Brett Johnson: Mikaela's giving them no work. Brett Johnson: Maybe the frequency can go … Sure, if it's a one-and-done with her, we're good. Courtney West: Exactly. As a podcast consumer myself, I know how difficult it is when you have a podcast that only goes out once a month. For the other part of the month, sometimes, it seems snobby at top of your mind, because it's not at the top of your podcast list, with the way a lot of the aggregators work. Courtney West: I think for us, growth might be related to in terms of how many podcasts, how many episodes we're putting out, growing the sponsorship side of things. Being able to put some money behind the marketing of it, I think, is really gonna be huge, and just really focusing on … This has been so successful, so far, and because we're a small team at the Chamber, this could be a full-time job, I would argue, with just booking guests, and if we were to do it more frequently, there's somebody that could just focus on cbuzz, or at least part-time. Courtney West: I think once we're able to continue to just be more comfortable in the process of it all, that it'll become a little bit more smooth. I think there's a lot of opportunities for us this year. I'm excited to see where it goes … The past year flew by, it felt like, the first year. Mikaela Hunt: It does not feel like it's been that long, no. I think, too, Courtney, and I, we see each other every couple months, and correspond over email, but there's so many interesting things in tech that are changing that are helping podcasts. Mikaela Hunt: There things like Headliner.app, which is real popular right now. That could be an opportunity for us to tease out a show. We haven't talked about that yet, but only because, literally, we're producing content ahead of time with these big names, but then, see each other only every couple months. Mikaela Hunt: I think the sky is the limit to what the Chamber wants to do with it, and what's possible. It's just a matter, for you guys, I would think, what makes the most sense, in terms of timing, and what you can devote to it. Brett Johnson: This is probably the same answer to both of these aspects of when you get a Chamber call, and say, "How do you do this?" as well as a business asking, "Okay, you're doing a podcast. How are you doing it?" What advice would you give to both, that they're looking at this as a marketing tool? Their first stages – what do you tell them? Courtney West: I tell them they really need to sit down, and, one, do their research, and also start to plan out the content that you're gonna be putting out on that podcast, at least six months to a year in advance. Especially when I talk to businesses, in particular – make sure that you have enough things that you can talk about, or guests that you can bring on, where it makes sense for you, and your business model, because there's nothing worse than going through all of the work to build a podcast, put it together, and, after three months, you kind of realize that maybe you don't have enough ideas, or people, or content to really make it strong, if that makes sense. Courtney West: Research is always the number-one thing I say. Don't just reach out to the Columbus Chamber, reach out to other podcasters who might not be directly involved in the business community, but they're gonna be able to provide a better background on the technical side of things. Courtney West: … When we get the calls from the Chambers themselves, that's a little bit more unique, because they have the same model we do, so it's a little bit easier to explain to them what that process looks like. They kind of have an infinite amount of guests, just like we do, which is a nice perk there to starting a podcast. Courtney West: Then, I just tell them, too, make sure you have somebody on staff that is passionate about doing this, because it is time, and it is effort, and you do have to be willing to learn about the podcasting world – what people wanna hear, how they want to hear it, how often. Having somebody that's passionate, and is going to own it, I think, is important. That's not to say that a team can't own it, but just there needs to be a group of people, or one person within that organization that is dedicated to making this thing work. Courtney West: If there's one thing I've learned about podcasting, it's that you can't go halfway. You have to go all the way, and you have to be dedicated to providing quality content. We talked a little bit about this today, when I first came to the studio, but podcasting has changed so much … The audio; just how nice, and crisp everything tends to be nowadays, compared to when podcasting first started. and it was somebody in a basement, recording a podcast. Courtney West: There's a high level of expectation from podcast consumers, and if you aren't able to deliver on that end of the spectrum, it's almost kind of difficult to justify the rest of the work you're putting into it. That's kind of always my lead off to people. Mikaela, you probably field some questions, too, about people who are interested in starting a podcast, based on your involvement with cbuzz. I don't know if you have people that reach out to you, that you would echo the same sentiments? Mikaela Hunt: The thing that you said that really resonated with me, based on people who say, "Oh, I wanna start my own podcast …" is the content piece. You cannot decide the week before you're recording, who you're gonna have on, and what you're gonna talk to them about. That's not a way to operate. Mikaela Hunt: Sadly, and I will say this about traditional media, too, sadly, too many times, we are not good enough about strategizing in this area. You've gotta have some strategy behind what you're doing. You can't just show up, and see what sticks, right? Mikaela Hunt: You really do need to be thinking … That's the thing about the Chamber – they're really detailed about that; where I've seen a lot of people be not so detailed, and then, they don't find success, because there's all these little nuances to what it can be, and how you can market it, and how you can do this, that, or the other. If you're not organized, it's not gonna be successful. Brett Johnson: Right. I agree. I think a lot of it is, too, when you reach out to somebody, "Can you be a part of my podcast?" You have to give them the reason why. It's not just, "Well, I think you're fascinating. I wanna hear your stories." There are some other pieces to this that … "I would love to deep-dive into this, and this, and this, as well, and maybe give you an opportunity to talk to you about that, as well.". Courtney West: Exactly. No, that's a good point. Brett Johnson: Well, thank you both for being a part of Note to Future Me. I appreciate it. Your situation is unique, for sure, as an interview podcast of having an outside person doing the interviews for the organization. I think there's a lot to learn here, and opportunity for anyone that's looking to podcast, that's looking at that hurdle of who will be the voice, the face, of the podcast. I greatly appreciate your insights. Mikaela Hunt: Former journalists. I honestly believe, if you can find former journalists in a community that can help you out, as a side project, it's a great opportunity. Brett Johnson: They're more than eager to do it, and, if they're like you, they wanna tell stories. They want stories brought out, as well, to join in the story-. Courtney West: It's natural. Yeah. Brett Johnson: Well, thanks again. I appreciate it. Courtney West: Thank you. We appreciate you having us on today. Sonix is the best online audio transcription software in 2019. The above audio transcript of “cbuzz edit for sonix.mp3” was transcribed by the best audio transcription service called Sonix. If you have to convert audio to text in 2019, then you should try Sonix. Transcribing audio files is painful. Sonix makes it fast, easy, and affordable. I love using Sonix to transcribe my audio files. Circle270Media Podcast Consultants is a full-service consulting company, specializing in audio content creation and marketing. We offer editing, producing, training, consulting, marketing and branding services for entrepreneurs or businesses looking to elevate an existing podcast, or start a new one. We are a full-service consulting company, specializing in audio content creation and marketing. 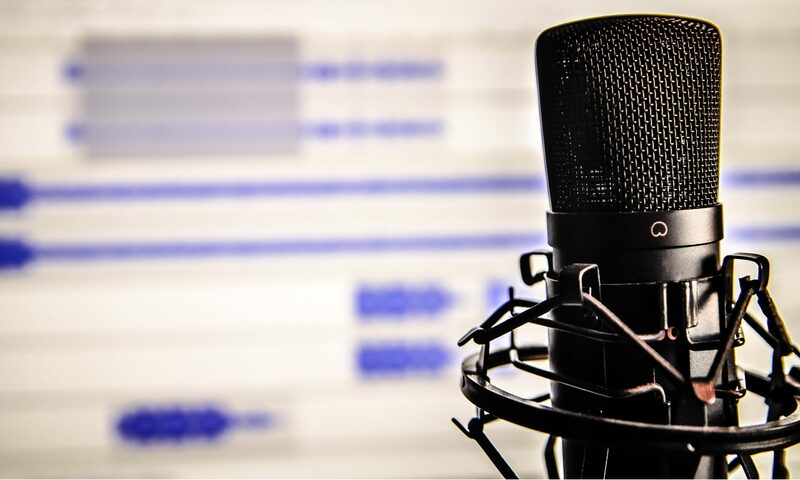 We offer editing, producing, training, consulting, marketing and branding services for entrepreneurs or businesses looking to elevate an existing podcast, or start a new one.